Noticed this boat near the lake at Orange County. Tomorrow is a big day... son Jay's engagement! So, am gong to be busy this 3 days so please excuse my lack of comments. What a neat boat, has such and old time feel to it, Great photo! Bill, this type of boats are regularly made & used in India, for rivers, lakes & seas. 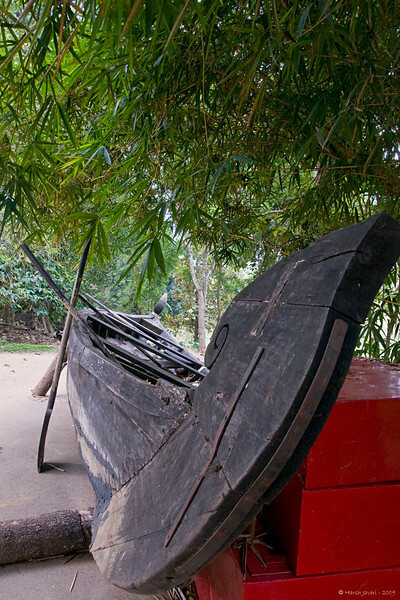 That looks like one of those old canoes that the Polynesians used in Hawaii & other Polynesian islands. All hand carved & built from wood that last for generations without the salt water rotting it out. nice find bro ! Fantastic shot! Have a wonderful day tomorrow! Great perspective, comp, colors and details!